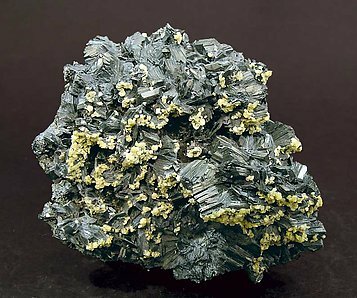 Rosette-like aggregates of laminar Semseyite crystals with very well defined faces and edges, very bright and on a matrix with very bright Sphalerite crystals. An excellent Romanian classic. Radial aggregates of acicular Semseyite crystals that are very bright and have grown on a druse of very bright cubo-octahedral Galena crystals, also very bright, with curved edges, all on a rocky matrix coated by lenticular Calcite crystals on the back. 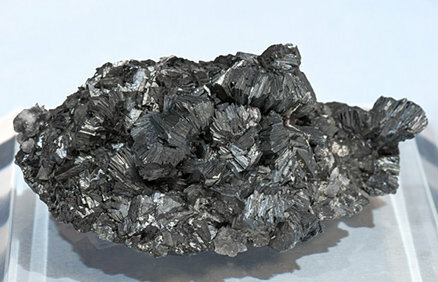 Aggregates of laminar Semseyite crystals that are extraordinarily bright and are on a matrix of very well defined octahedral Galena crystals with Boulangerite coatings. A Romanian classic of great quality. 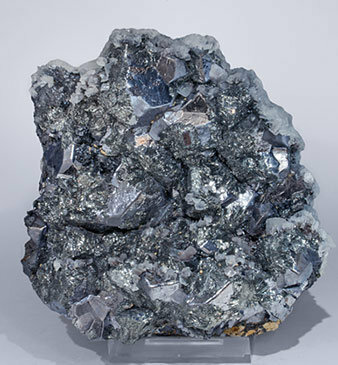 This one is very rich in Semseyite, with the tabular crystals forming groups and rosettes. 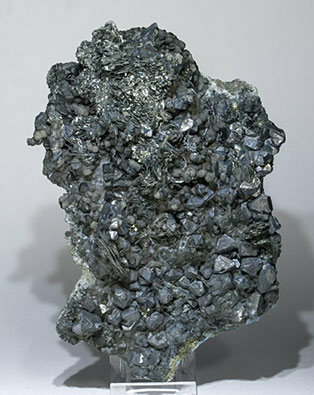 The groups are partially surrounded by a covering of Siderite, which gives the whole specimen good contrast. An old-timer and one of the best for the species. 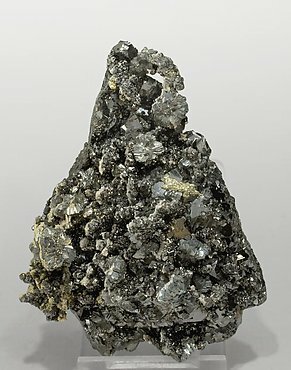 Rosette aggregates of very bright Semseyite crystals with very well defined faces and edges, which is rare for the species, and with very sharp crystals of Sphalerite and small coatings of Pyrite.